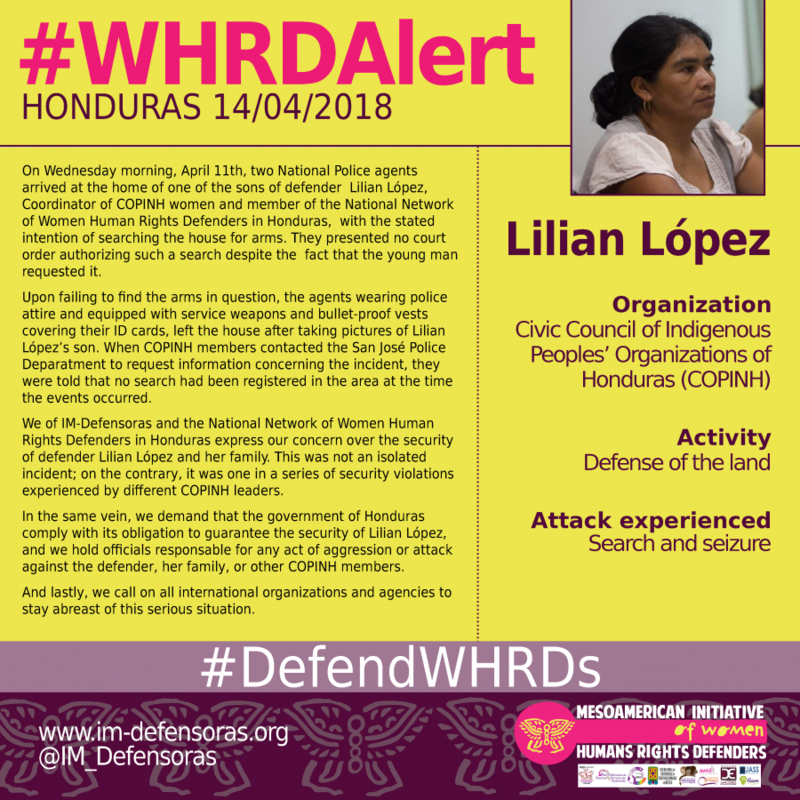 THE FACTS – On Wednesday morning, April 11th, two National Police agents arrived at the home of one of the sons of defender Lilian López, Coordinator of COPINH women and member of the National Network of Women Human Rights Defenders in Honduras, with the stated intention of searching the house for arms. They presented no court order authorizing such a search despite the fact that the young man requested it. Upon failing to find the arms in question, the agents wearing police attire and equipped with service weapons and bullet-proof vests covering their ID cards, left the house after taking pictures of Lilian López’s son. When COPINH members contacted the San José Police Deparatment to request information concerning the incident, they were told that no search had been registered in the area at the time the events occurred. 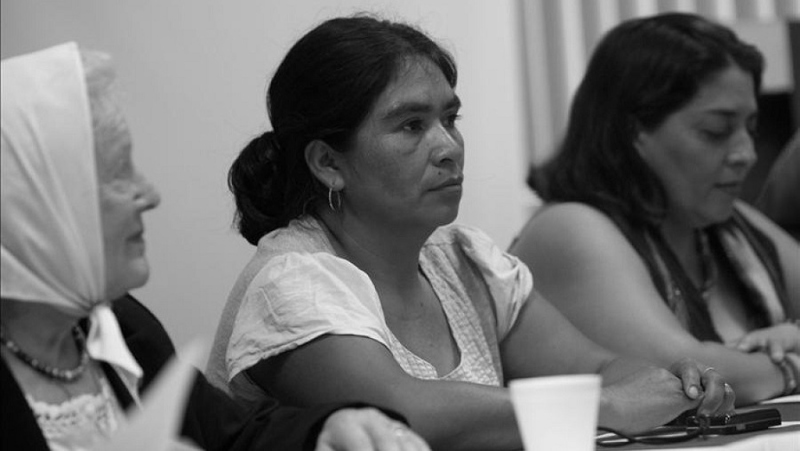 We of IM-Defensoras and the National Network of Women Human Rights Defenders in Honduras express our concern over the security of defender Lilian López and her family. This was not an isolated incident; on the contrary, it was one in a series of security violations experienced by different COPINH leaders. In the same vein, we demand that the government of Honduras comply with its obligation to guarantee the security of Lilian López, and we hold officials responsable for any act of aggression or attack against the defender, her family, or other COPINH members. And lastly, we call on all international organizations and agencies to stay abreast of this serious situation.